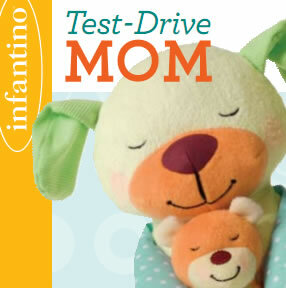 As an Infantino test Drive Mom, I was given the opportunity to try out their Comforting Play Collection. 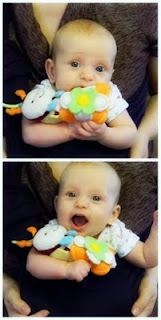 Given that Stella is only 3 months old, I was doubtful that we would get much use out of it. I was wrong, though. It couldn't have arrived at a better time. As it turns out, the things I turned my nose up at the most are Stella's favorites. Even the baby likes to prove me wrong. She absolutely loves the Hug & Tug Wooly Pal and the Soothing Hand Squeezies. 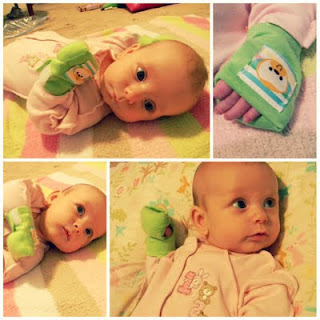 I didn't think we'd get much use out of the Sweet Bee Scented Pal or the Tag Along Chimes. 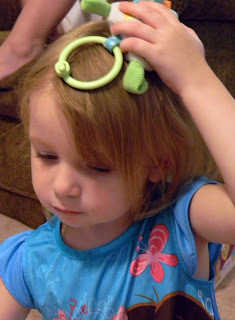 They attach to a car seat or stroller and honestly, we hardly leave the house. We did find use for them, though. Stella likes to play with them when I attach them to the rings of the sling. Th Ouchie Pal is a pooch filled with buckwheat and can be chilled in the refrigerator and applied to bumps and bruises. Obviously, Stella does not need this, but I highly recommend it to any family who has a kid like George. She gets hurt a lot and doesn't like to be comforted. She loves it. 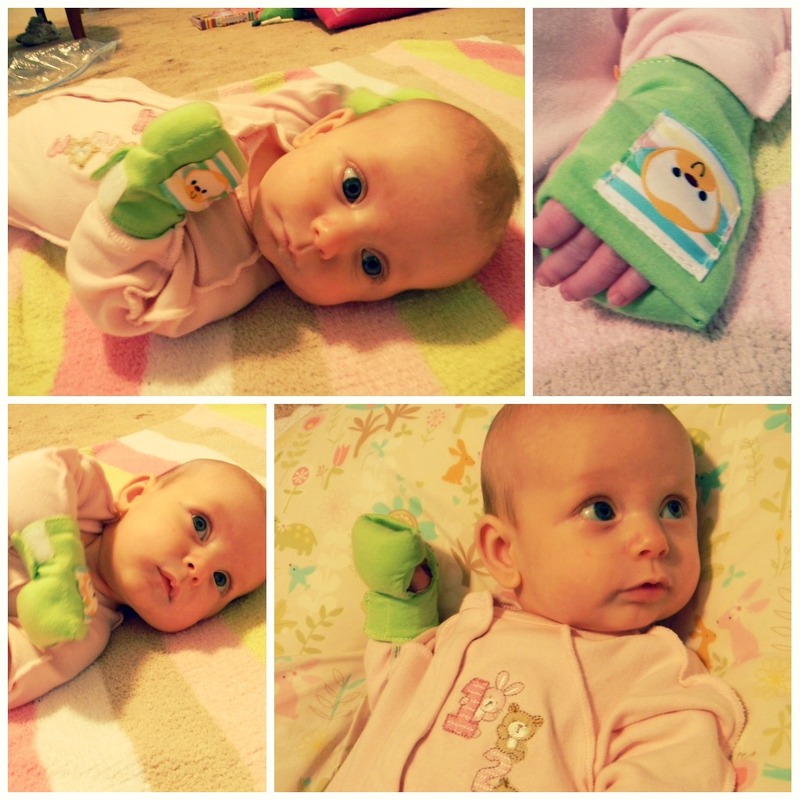 The whole collection is just so adorable, cuddly and gender neutral so it's perfect for a shower gift. 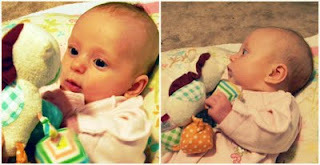 I love that the Sweet Serenade Crib toy is so simple. It works only with a pull string. There aren't lights or never ending music, sounds and motion. You can't just turn it on and walk away, forgetting to interact with your baby. Another thing I love is that the music box on the Soothing Cuddle Pup is removable so that it can be washed. You can learn more about the Infantino Comforting Play Collection here. You can also find Infantino on Twitter, Facebook and You Tube. Don't forget to follow me on Twitter or "like" me on Facebook.